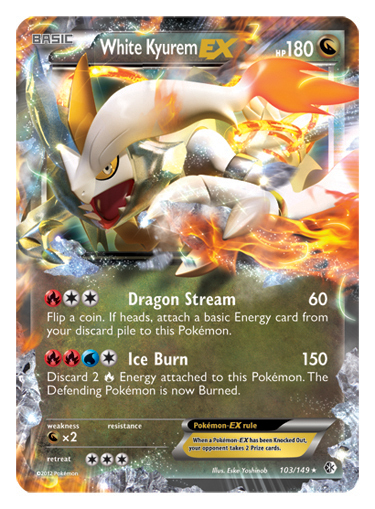 The next Pokémon Trading Card Game expansion isn’t due out until November 7th, but we’ve got your first look at three new cards from the 140 card set. 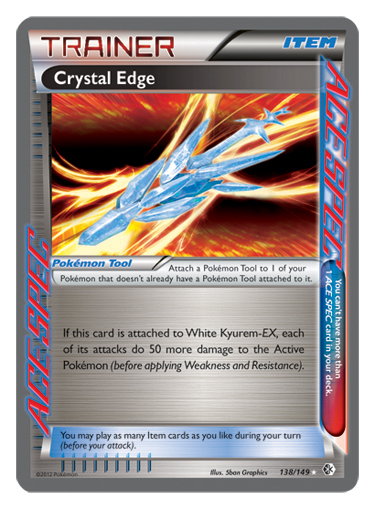 The White Kyrurem Ex, Black Kyurem EX and Crystal Edge ACE SPEC cards will all be making their debut in this video-game themed expansion. Black & White – Boundaries Crossed ties in with the October 7th release of Pokémon Black Version 2 and Pokémon White Version 2 and will include new Pokémon-EX, new forms, new trainers and new locations that match the video games. There will also be four new ACE SPEC cards that are so powerful, players won’t be allowed to bring more than one into battle at a time. 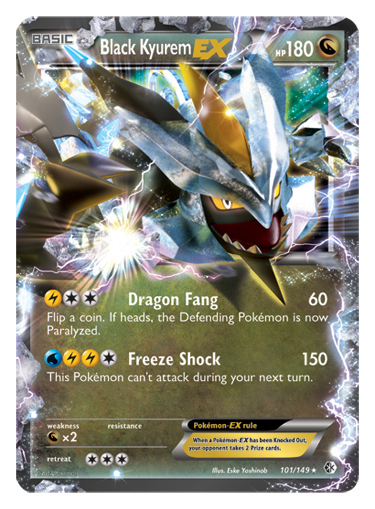 Theme decks and booster packs will also have in-pack codes that will unlock virtual cards for use in the online game.